I’m a sucker for a great comparison, and the only one that comes to mind when I think of Chance the Rapper’s rise in the rap world is a meteor. He went from experimental underground rapper to soulful rhyme-spitter that took the stage and the hip-hop game by storm. Chance the Rapper’s fame has grown exponentially and that has been aided by his album, Coloring Book, which he released for free on Apple Music, as well as just announcing his “Magnificent Coloring World Tour” on June 21st. The culture in the inner-city of Chicago, IL has been well documented. The gang violence, the drug culture and the never ending shootings and killings that seem to be a daily occurrence in Chicago are the only stories that get covered in the news. As a result, most of the new-school rappers that hail from Chicago rap about what they know. The new of wave of “gangster rap” from Chicago includes names like Chief Keef, Fredo Santana, King Louie and Lil Durk, and all have established themselves in the rap game, but fail to maintain the mainstream notoriety because of the rawness their raps possess. Chance the Rapper dabbled with the drug scene and incorporated that into his raps early on in his career, and evidence can be found in almost every song of his last mixtape, Acid Rap. Lyrics on a song called, “Chain Smoker” embody Chance’s early days in the rap game perfectly. The honesty is chilling to a degree, but his music has always had a way of it never seeming too serious with experimental beats and smooth raps. However, under the tutelage of Kanye West, Chance has learned that rap is more about than what’s down the street or around the corner. His maturity coincided with the birth of his new daughter, seemed to happen overnight, and his raps are now mellow, meaningful and mindful of the fact that what he says matters, and can have an impact. I could write about Chance the Rapper’s new sense of being a role model instead of a money-making machine all day but I’d rather show you. Here are a few joints that chronicle the Chi-Town rapper’s change to a more soulful, gospel oriented artist. Who doesn’t love making Grandma happy. Chance the Rapper’s evolution started with this heartfelt single dedicated to his Grandma. Her influence on Chance is evident in the lyrics as he talks about her devotion to her faith and all of the positive memories she gave him during his childhood. This well-crafted video made it an internet sensation immediately. Donnie Trumpet, his brass instrument playing sidekick, is a great addition to this song and is exactly what the beat called for. With a chorus from Chicago’s rising talent Jamila Woods, it’s impossible to be in a bad mood after hearing this one. Chance the Rapper surprised his fans and chose to debut this song live on The Late Show with Stephen Colbert, and did not disappoint. Here Chance raps about what all the other rappers from his hometown write about, but his delivery of the message is what sets him apart. Again going with a gospel-inspired beat he raps about all the young children that have lost their lives due to senseless violence in Chicago. He recruits Saba for the chorus, a wise move, and every lyric in the song is meaningful and delivered from a mature perspective. Lyrics like, “There’s too many young angels on the Southside, got us scared to let our grandmama’s outside,” say it all. Check out the clean version below. One thing fans love about Chance the Rapper is that he never forgets who he was or where he came from. He has switched styles, yes, but he is still a rapper from Chicago that used drugs to escape while finding himself at the same time. “Same Drugs” is all about the realization that drugs are a temporary solution, but can also turn into a long-term problem. Chance embraces the drugs he has used in his past, learned a valuable lesson from them and notes that, “We don’t do the same drugs no more.” This song is one of the staples of his new album, Coloring Book, and this thoughtful recollection is a common theme that fans fell in love with. Somehow Chance the Rapper changed his style while staying exactly the same, and I’m still trying to figure out how he did it. Acid Rap and Coloring Book are a small sample size, but both were perfectly crafted and if there is one thing Chance the Rapper should never give up, it is making amazing music that so many of his fans can relate to. Check out Chance the Rapper as he embarks on his first world tour, and get your tickets right here at TicketNetwork.com. 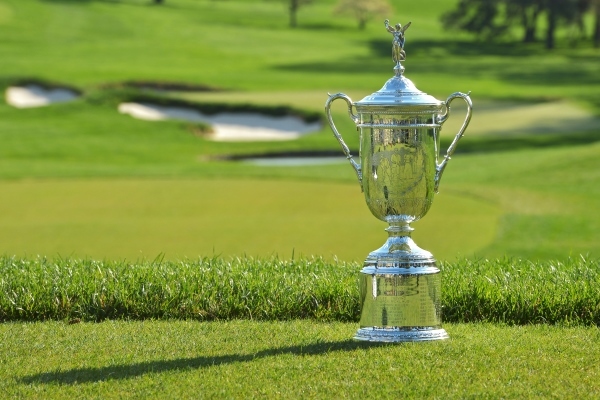 Characterized by narrow fairways, long rough and speedy greens, U.S. Open Golf is one of toughest tests a professional golfer will ever have to endure. Add on the pressure of playing for one of the most coveted sporting trophies in the world, and this golf is usually not pretty. Along with being extremely talented, grit and perseverance are some of the necessary traits a golfer needs in order to win this tournament. With the 2016 U.S. Open being hosted at one of the most challenging courses of all-time at Oakmont Country Club, we are ranking our toughest U.S. Open golf courses. Some of the judging criteria includes: final score relative to par in past championships, course layout and courses that torture golfers down the stretch when the pressure is at its highest. Notable Winners: Geoff Ogilvy (+5), Fuzzy Zoeller (-4), Hale Irwin (+7) – The West Course at Winged Foot Golf Club shows no mercy. The 7,264 yard course is long and narrow, and punishes every shot that does not find the fairway. On top of that, it is impossible to land your ball close to the pin once you hit in the rough. Large, rock-hard greens combined with undulation that will make a golfer’s head spin is the main reason this course is at the top of our list. Some of the winning scores shown above are proof that even the best golfers have trouble navigating this treacherous terrain. Heartbreak is also synonymous with Winged Foot Golf Club. Greg Norman had numerous heartbreaking moments throughout his career, and that trend continued after losing in a playoff to Fuzzy Zoeller in 1984. Phil Mickelson will attest to hard this golf course is as well. Needing a par to win his first ever US Open title, Mickelson found the rough with almost every shot on the last hole. He collapsed, scored a double bogey and paved the way for Geoff Ogilvy to steal the trophy. Notable Winners: Angel Cabrera (+5), Johnny Miller (-5), Jack Nicklaus (-1) – Oakmont Country Club is the definition of a U.S. Open golf course. Some of golf’s legends have been the only ones able to crack the code at Oakmont and lift the U.S. Open trophy. Known for its famous “Church Pew” bunkers, precision at Oakmont is paramount. Long fairway bunkers are challenging enough, but at Oakmont there are rows of thick rough in the bunkers on a select few holes that can ruin a players round. With 210 total bunkers on the course it is best to play it safe and keep it in the fairway at all times. Add in difficult uphill approach shots to sloped greens, and there really isn’t an easy shot on the course. With Angel Cabrera winning the last major contested here at five over par it is easy to see why this course made the list. Oakmont Country Club easily could have been number one, but it yielded the round of the century and lost out by the slimmest of margins. Johnny Miller tied a record for lowest score in a major by shooting a 63 on Sunday and went on to win in dramatic fashion in the 1973 U.S. Open. Notable Winners: Lee Trevino (E), Justin Rose (+1) – Along with Oakmont Country Club, the next toughest golf course is also located in Pennsylvania. Merion is almost as tough as its neighboring golf course, but in a few different ways. Two of the most consistent and accurate players of all-time in Lee Trevino and Justin were the select few to win at this challenging course. If you don’t hit it in the fairway at Merion it is almost a guarantee you will lose your ball in the thick rough. The players usually have a blind shot to an elevated green, so the approach shot on most holes is usually a guessing game. One of the most unique aspects of the East Course at the Merion Golf Club is another reason why it is so difficult. 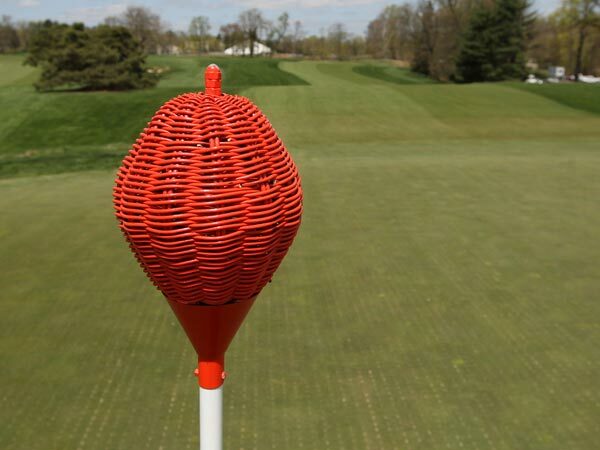 Instead of flags that can help players decipher the direction the wind is traveling, the sticks at Merion Golf Club have wicker baskets on the top of them. This is the only course that the PGA Tour visits that includes this feature and it is definitely be something the players have to adjust to. The 18th hole is also why Merion made this list. The 521-yard par 4 is a never ending hole that is almost impossible to birdie. Phil Mickelson tasted heartbreak again in a U.S. Open tournament as he needed to chip in for birdie on the last hole to force a playoff and just missed to allow Justin Rose to take home the trophy. Notable Winners: Tiger Woods (-12), Graeme McDowell (E), Tom Kite (-3) – How can one of the most difficult courses in U.S. Open also be one of the most beautiful? The Pebble Beach Golf Links has mastered this combination, and it is a test that is hard to top. Located in the Carmel Highlands in Pebble Beach, California, this course was built right off the Pacific Ocean. The breeze off the ocean as well as the water in general are just a few of the reasons this course plays so tough. The water comes into play on about six different holes and with a quick lack of focus, a player can lose more than just a golf ball. Long par 5s and long rough are staples of the course as well but one of the main reasons this course made the list is the finishing hole. A daunting par 5 that has water all down the left side of the hole is a tough 18th hole that makes the player much more nervous on top of the pressure they’re already feeling trying to close out a U.S. Open. Tiger Woods ruined this course ranking a little higher with his 12-under par score in 2000 en route to a 15 shot victory in which he was the only player finishing under par. This course is tough for just about everyone else on the planet and that is why it made the list. Notable Winners: Martin Kaymer (-9), Michael Campbell (E) and Payne Stewart (-1) – Course No. 2 at the Pinehurst Resort is also a course that only man could crack while it managed to embarrass the rest of the field. Martin Kaymer finished the 2014 U.S. Open at -9, eight shots clear of the rest of the field. From the tee, this course doesn’t look all that intimidating with very few trees near the fairway and not the deepest of rough, but don’t let that fool you. There is thick pine straw and weeds for drives that stray too far from the fairway, and any inaccuracy can alter a round of golf. With that being said, Pinehurst is known for some of the toughest greens in the country. All of the greens are crowned and extremely undulated, leaving players praying for a two-putt once they finally reach the green. The greens aren’t the biggest and are all guarded by bunkers preventing the players from being too aggressive. Designed by the legendary Donald Ross, this course has been one of the toughest courses for a long time, and will continue to be as it will again host the U.S. Open in 2024. Course No. 2 at the Pinehurst Resort is also responsible for one of the best finishes in U.S. Open history. 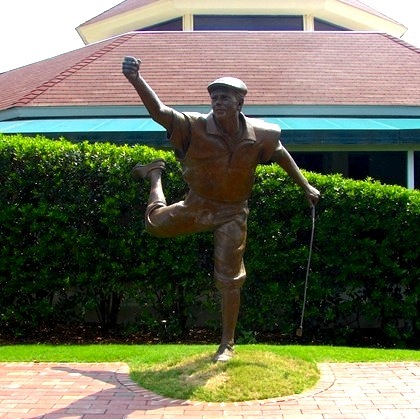 The late, great Payne Stewart made a putt on the final hole of the tournament back in 1999 to seal a victory that will be remembered forever. The man he was playing with that narrowly missed a chance to win it in a playoff…Phil Mickelson. Be sure to check out TicketNetwork for U.S. Open tickets! A great idea for Father’s Day this Sunday. With any major tournament, all fans have games circled on their calendars that they definitely get to watch, and then depending on the how the competition plays out there will be games they hope to see. The group stage for this year’s Copa America has some interesting games slated in which powerhouse teams will be forced to bring their A-game early on in the tournament. We will analyze those games, and break down potential match-ups in the quarterfinals and on that could feature some of the best rivalries in international soccer. The people responsible for the scheduling of this year’s Copa America know how to start a tournament off with a bang. USA and Colombia, two teams with championship aspirations, will square off in the opening match at Levi’s Stadium. This match-up will be particularly interesting due to the clash of styles it features. USA, the hosts of the tournament, will look to come out of the gates and play a conservative, defensive game and not try to lose their chances of advancing deep into the tournament in the first game. Goalie Brad Guzan of Aston Villa will be a key player for the U.S. as Colombia is a fast-paced squad that pushes tempo and scores goals. Rising star, James Rodriguez of Real Madrid will look to continue his success from the 2014 World Cup and propel Colombia out of the group stage once again. The top two teams in Group B will square off in a match up that could determine whether or not Ecuador will make it to the second round. Brazil is a powerhouse with a title on their mind after a disappointing World Cup in 2014, but will be without their young superstar Neymar (Barcelona). Due to a commitment to his club, Neymar opted to play for Brazil in the Olympics this summer instead of Copa America. Players like Dani Alves (Barcelona), Willian and Oscar (Chelsea) will have to come ready to play to ensure Brazil takes care of business. As for Ecuador, they have the potential to be the only team in Group B that can steal a point from Brazil or even upset them in the group stage. If Ecuador doesn’t show up to play, and another team in Group B gains some confidence then they would be in danger of not advancing. Ecuadorians Jefferson Montero and Enner Valencia, who both play in England professionally for Swansea City and West Ham United, respectively, are two cogs that will determine how far Ecuador can go in this tournament. This is another key matchup, especially for Group C, and could determine who wins the group. Mexico and Uruguay are two teams that strike fear in their opponents on the international level and will look to impose their wills in this game. Both teams play up-tempo soccer so this game could be one of the best to watch from a neutral standpoint. Mexico has won 8 in a row internationally and have plenty of confidence heading in to this tournament. Javier Hernandez (Bayer Leverkusen) and Oribe Peralta (Club America) will need to hold up their end of the bargain and provide the goals for Mexico to have a chance. As for Uruguay, their motor and heart is enigmatic forward Luis Suarez. The Barcelona forward is one of the best goal scorers on the planet (when he’s not being suspended), and if he gets hot he can single-handedly take Uruguay all the way to the Copa America final, which is exactly where players and fans expect them to be. A crucial match-up in Group D will feature a rematch of the 2015 Copa America Final. The defending champs (Chile) will take on one of the most successful teams in Copa America history (Argentina). On paper, Group D is one of the easiest in the tournament, so if one of these teams falters early they should be able to recover. However, both teams will come ready to play as the chances of them meeting again later in the tournament are very likely. Chile’s striker, Alexis Sanchez who plays professionally at Arsenal and also scored the winning penalty kick in 2015, will be in the competition for the Golden Boot, and his tenacious attitude can frustrate any defense on the international level. Argentina is a powerhouse that can attack their opponents in many different ways. Angel Di Maria of Real Madrid is a midfielder with blazing speed and plays off two of the best forwards on the planet in Lionel Messi (Barcleona) and Sergio Aguero (Manchester City). Another candidate for game of the tournament, this will be a game to keep an eye on. This game used to be an afterthought for Mexican soccer, but in the 21st century this border war has become much more competitive. The U.S. got their first win ever on Mexican soil back in 2012, and have won 3 of the last 7 matches with three others ending in a tie during that stretch. Michael Bradley (Toronto FC) and Clint Dempsey (Seattle Sounders) have a competitive edge that sparks a lot of controversy during these matches as the Mexican team is just as feisty. Tempers will flare, but with a lot on the line in this potential matchup look for world class soccer that comes down to the final whistle. The U.S. being on home soil could be the deciding factor. This game could very well be the 2016 Copa America Final. These two South American teams are considered soccer royalty and have been squaring off for ages. Brazil has a slight edge in this series with a record 39 wins, 37 losses and 26 draws against Argentina, and the games usually come down to the wire. Brazil has also won the last two times these teams have played in the Copa America so Argentina will be looking to flip the script. Messi should be able to control the flow of this match with his world-class dribbling ability, and setting up himself and his teammates gives Argentina the slight edge. This rivalry isn’t on the level of the previous two match-ups we just mentioned, but it is on its way. Colombia and Ecuador have always been rivals based on their geographical locations, but now an infusion of talent on both sides could lead to classics for years to come, especially in this tournament. Young stars James Rodriguez of Colombia and Jefferson Montero of Ecuador can take over any game with their skill level and confidence, and that has been something this rivalry has been lacking for a while. If the young talent from both sides can play up to their potential, a match-up between these two teams in the elimination round could renew a rivalry that their respective fans have been waiting for.